BookHounds: GIVEAWAY! 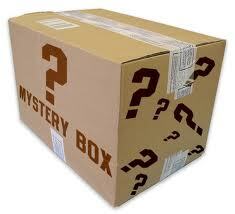 July Mystery Box! Every Month, I gather up my books that have been sitting around and give them away, usually with a theme. This month, the spotlight is WOMEN'S FICTION ! These books are all advance reader paperbacks. When XXXX XXXX, a promising young journalist, impulsively hits the send button on an email to her boss saying "I quit," so begins her pursuit of enlightenment in the jungles of cutthroat London. Fifteen-year-old XXXX and her beautiful sister, XXXXX, are too young to legally drive a car—but are approaching spinsterhood in Utah’s secret polygamist Blood of the Lamb community. Having long since reached the “age of preparedness,” they will soon be married off to much older men chosen by the hidden sect’s revered Prophet. Why does no one blink when they are charged three dollars for a cup of coffee? Thanks! Always fun to try to guess! I'm not even going to try to guess the titles for the 3 quotes. Each quote does intice me into wanting to know more (especially the $3 for coffee), but even if I'd just finished reading the book, I couldn't remember any quotes! I fixed the form and checked your boxes lol! just filled in the form. thanks so much for the giveaway, and for leading me to the FB Win A Book, I didn't know about it, and I have also several giveaways going on on my blog! How fun- thanks so much. I have no idea what those three are, but now I'm off to investigate (jobs and cults and coffee, oh my!). They were a little tough to guess, but looks interesting all the same! Thanks! Thank yo for the many opportunities you give to win free books +. 7/21--just started raining, after a very hot week! Thanks! Already the last day of July? !